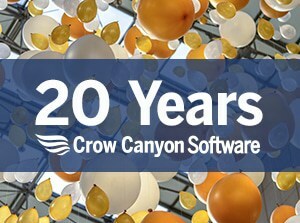 SharePoint Fest Chicago takes place this week with Crow Canyon Software participating as a Gold Sponsor. The Fest includes a lineup of sessions and workshops by renowned SharePoint and Office 365 experts, as well as networking and social activities. The event takes place December 5 to 8 at Chicago’s McCormick Place. Crow Canyon will have a booth in the expo hall on December 7 and 8, where attendees can find out more about Crow Canyon’s robust and popular SharePoint and Office 365 applications. These applications turn SharePoint and Office 365 into powerful business automation platforms, streamlining operations and driving productivity at organizations worldwide. These applications include IT Help Desk, Customer Service, Employee Services, Asset Management, HR, Facilities, Marketing, Purchasing, and others, as well as custom development projects. SharePoint Fest Chicago begins on December 5 with two days of pre-conference workshops, followed by a two-day conference (December 7 & 8) with over 90+ sessions.